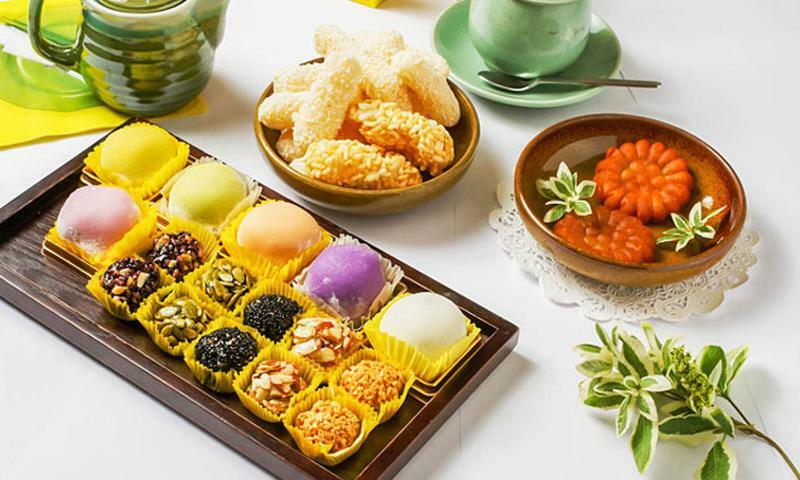 Not only has delicious Koreans food,Korean traditional dessert is one of you should try when you visit Korea at summer.This is a list of Top Korean desserts place in Seoul. Damjang Yeope Gukhwakkot is famous for Chestnut and Jujube Patbingsu, which comes out in a stunningly crafted brass bowl. Dishes are served in brass bowls, which not only add an extra bit of flair to the dish, but also help keep the dessert cool and stop the ice from melting. Directions: Gangnam Express Bus Terminal Station (Subway Line 3, 7, 9), Exit 4. Take a taxi to the Seorae Village entrance (10min) and walk about 50m. Turn down the alley to the left of Starbucks. Damjang Yeope Gukhwakkot is located on the right. Suyeonsanbang a traditional Korean tea house located in Seongbuk-dong. 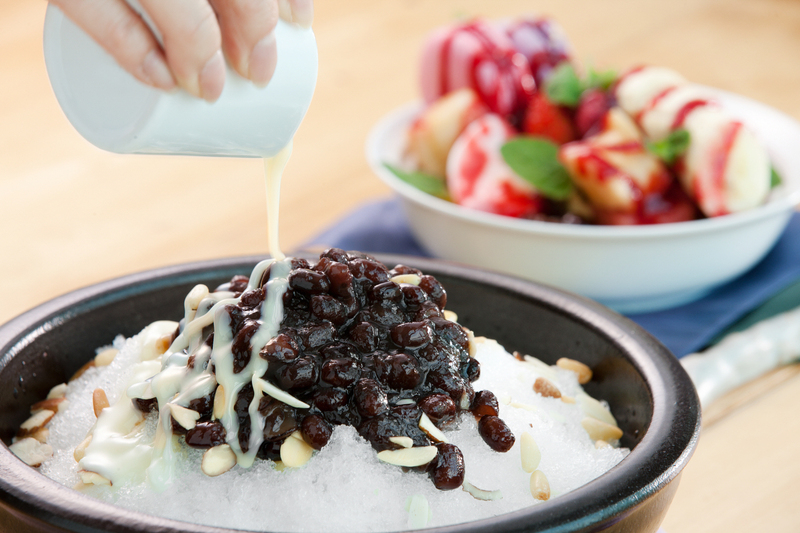 To take a break during the summer heat, visitors come to Suyeonsanbang to try their patbingsu, one of its summer specialties. Directions: Hansung Univ. Station (Seoul Subway Line 4), Exit 6. Take Bus 03, 1111 or 2112.Get off at Dongbang Graduate University.Suyeonsanbang is about 130m away from the bus stop. Cafe Bora of purple cafe is one of unique cafe in Seoul. 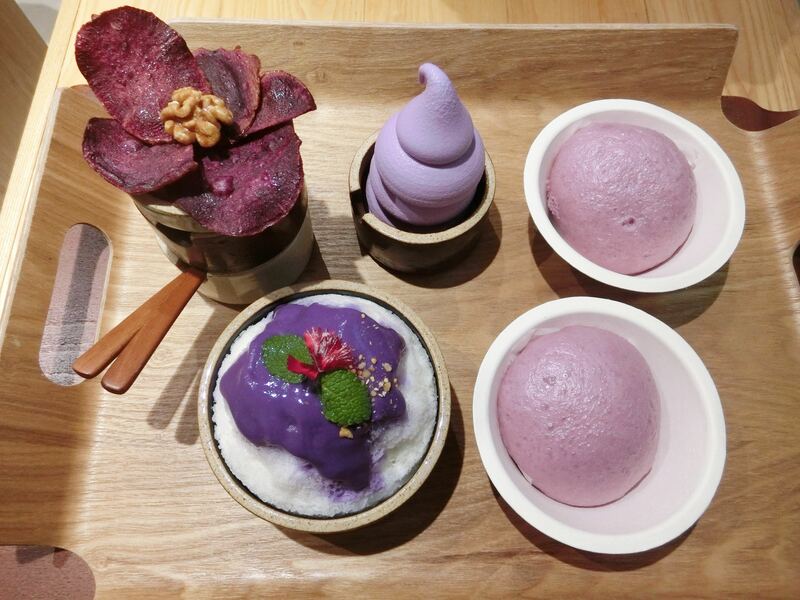 Located at Seoul-ssi, Jongno-gu, Yulgongno 3-gil 75-3, this cafe served many kind of dessert like ice cream and bingsu.Prices range from 3,500won for ice-creams to 6,500won for a bingsu. Haap located at Haeseok Building, 10 Dosandaero-61-gil, Gangnam-gu, Seoul. 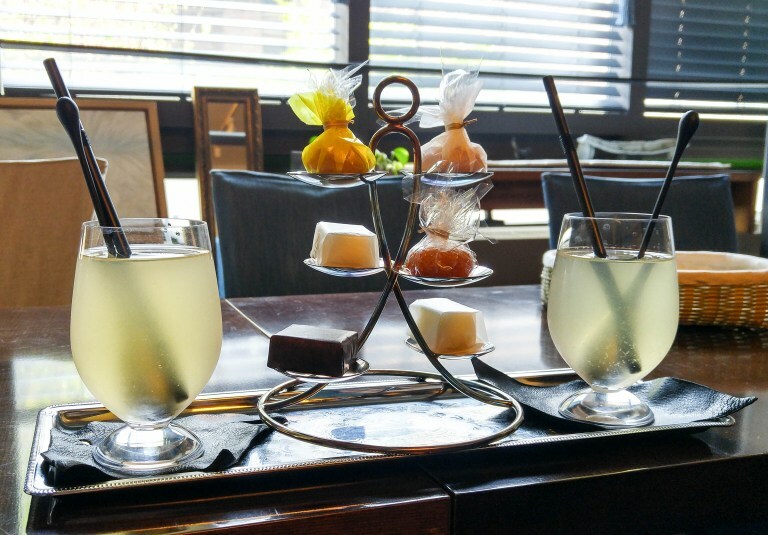 They served many kind of traditional korean sweet dessert and coffee.And the price around 2000won for dessert. Ogada is a medicinal tea take-out shop. 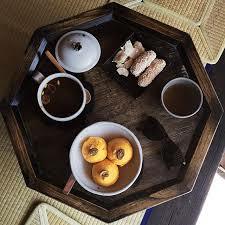 Its unique menu offering includes various medicinal herb teas with modern twists. Price of menu start from 4000won. This entry was posted in FOOD and tagged activity in Korea, Dining, dining in Korea, festivals in Korea, Food, food in Korea, food in seoul, Korea travel, Korea travel tips, Korea trip, Korean, ‪‎travel, ‪‎traveling‬, traveller.